Slept with your makeup on again? Still using expired beauty products on your skin? Biting your nails? Combing your wet hair? If you answered with a nodding yes, beware! You are making some serious blunders in your beauty regime. It seems as if everyone is suffering from hair loss or showing premature signs of aging like wrinkles, age spots and fine lines around the face these days. Although no one intentionally sets out to have bad skin or rough hair, there is definitely something somewhere that is not right on your end! On occasion, you may be a bit careless and not worry about your skin and hair. But folks you must realize, the way your body needs proper nourishment and care, so does your skin and hair. There are some common mistakes you might be making (some you don’t even realize) that are damaging your skin and hair. 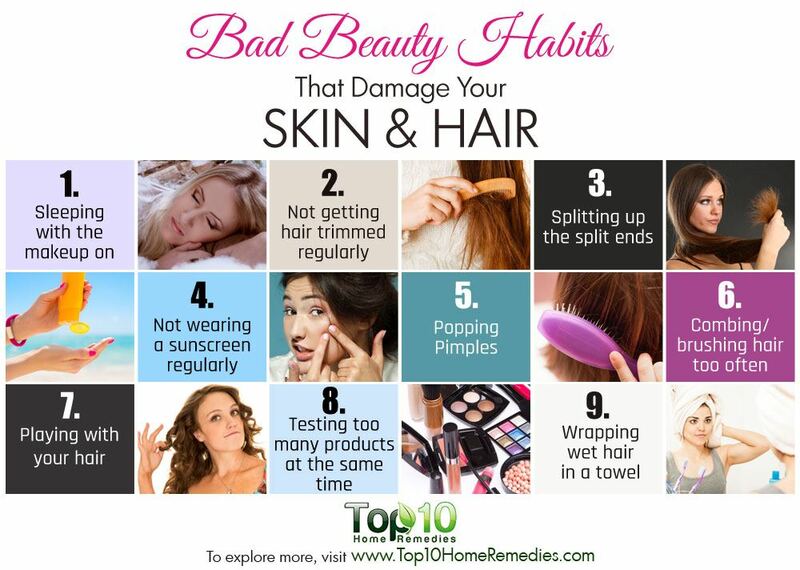 Here are the top 10 bad habits that damage your skin and hair. Extremely tired or exhausted? The mere thought of splashing water on your face seems tiring! But you have no idea how damaging it can be for your skin if go to sleep without washing off your makeup. Sleeping with makeup on has one of the most disastrous effects on your skin, and it even accelerates the aging process. On top of that, the environmental pollutants that your skin encounters throughout the day clog your pores and pave the way for serious breakouts and acne. Also, the makeup breaks down the collagen and elastin in your skin, thus speeding up the aging process and paving way for wrinkles, fine lines and dull skin. Not removing eye makeup at night can cause dryness, redness, irritation and eye infections. It can even lead to your eyelashes becoming brittle and falling out. Plus, due to makeup, the skin cannot repair itself while you sleep. At the end of the day, take 5 to 10 minutes to pamper your skin. Remove your makeup with a little coconut or olive oil, then wash your face with a mild cleanser and apply a moisturizer. For occasions when you are extremely tired, you can use wet wipes. The wet wipes not only remove makeup and impurities, but also moisturize and nourish your skin. Is the thought of flaunting long hair holding you back from getting it trimmed? Well then, it is time you understand how unhealthy this might be for your hair. The idea that not trimming your hair helps it grow longer is just a myth. Whether you trim it or not, you hair is always growing. But, it is also breaking at an even rate. 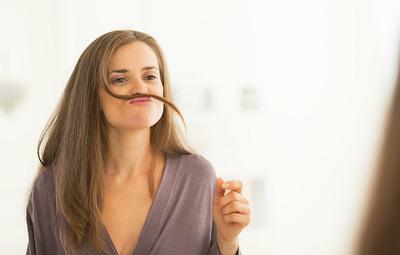 The rough ends from lack of trimming are making your hair strands weaker and duller. So, regular trims and haircuts are very much a necessity for the health of your hair. This helps get rid of split and rough ends that ultimately cause breakage. To maintain healthy hair and accelerate growth, get it trimmed every 3 to 4 months. If you miss a regular trim, use a nourishing hair serum that can help extend the length, strength and health of your hair in between salon visits. If you are obsessed with picking and tearing apart your split ends, stop this right away! The end of your hair strands is the oldest part of your hair. Lack of moisture at the ends can cause breakage and split ends. Split ends give a very unhealthy look to your hair. Plus, they restrain the growth of your hair. Tearing apart your split ends also causes weakening of the hair shafts, leading to hair breaking off more easily and thinning hair. These thinned out strands are likely to tangle even more and may even break off entirely. No amount of time, money and effort spent on hair masks and treatments will do any good. The only option is to cut off the split ends. Any type of break is not as clean as a cut made with scissors. 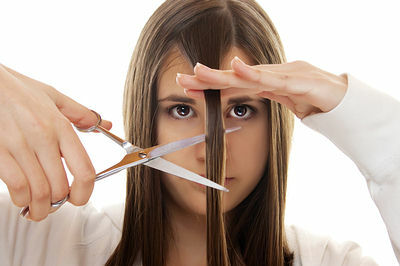 So, hair cutting or trimming is the best solution to fix split ends. If you wish to keep away from regular trims and cuts, here is one trick that could probably help you. Take a small section of hair and twist it around and around to the end. You will see split ends sticking out boldly. Take a pair of scissors and cut off just what’s necessary to remove the split. Note: Most hair salons offer this service. Who wouldn’t relish a hot bath when it’s freezing cold outside? But, do you have any idea how damaging it can be for your skin and hair? The heat from the hot shower can drain your skin of all its natural oils, making it dry and rough. When the moisture normally retained in the skin’s upper layers is regularly stripped off due to frequent hot showers and baths, it can even permanently damage the skin. Plus, hot water strips away your hair’s natural oil (serum) and damages the roots. Without serum, hair becomes dry and brittle, which in turn leads to breakage and hair loss. To prevent damaging your hair and skin, enjoy a shower or bath with lukewarm water. Especially when washing your hair, use normal or cold water for the final rinse. This helps seal moisture into the hair strands, thus preventing damage. This will also make your hair appear shiny and healthy. Also, keep your showers to just 10 minutes. A longer shower can make your skin start to become red and itchy. Continuous pulling and playing around with your hair causes much more damage than you can imagine. Frequent meddling creates stress on the hair strands, eventually contributing to hair breakage and hair loss. Friction generated from continuous hand movements or from fiddling with hair accessories may also cause unnecessary tangling and breakage. Not just that, even backcombing is highly damaging. It can lead to split ends and hair breakage for months. Try and keep your hair tied at the back, so that you are less likely to play with it. Keep a smoothing brush along with a detangler in your purse and minimize the use of your fingers to manage your hair. Keep your stress level under control, as during stress many people have the tendency to pull their hair. Brushing or combing your hair very frequently damages the hair cuticles, leading to breakage and split ends. Too much brushing puts a lot of physical stress on the hair fiber, thus causing the cuticle to flake and strip away. Also, aggressive brushing causes too much friction and makes hair weak and brittle. Combing and brushing wet hair is particularly harmful, as this leads to excessive pulling of hair and unnecessary breakage. At the same time, using hairstyling tools like blow dryers or straighteners cause significant damage to your hair. The heat generated from these tools strips the serum from your hair, making it look dry and dull. Limit how much you comb or brush your hair. Use hair serum that keeps the hair smooth and makes it less prone to tangling. Avoid using hairstyling tools. If needed, use such tools at the lowest heat setting possible. ‘You don’t need sunscreen if you are not hanging out in the sun’ is just a myth. Any exposure to sunlight, even if through the windows in your office, requires protection from a sunscreen lotion. Sunscreen protects your skin from the harsh ultraviolet (UV) sunrays. Also, exposure to the harmful rays of the sun makes the skin prone to pigmentation, spots and wrinkles. It even leads to reduced skin elasticity and degradation of skin texture. A 2013 study published in Clinical, Cosmetic and Investigational Dermatology reports that sun exposure seems to be responsible for 80 percent of visible facial aging signs. Plus, it increases your risk of skin cancer, including the life-threatening melanoma. Before leaving home, generously apply a sunscreen that is broad-spectrum, SPF 30 (or higher), all over exposed body parts. Use sunscreen throughout the day, even during winter and rainy days. Always carry a sunscreen lotion in your purse, in case you need to reapply it. You can also use a moisturizer that has good SPF, which will moisturize as well as protect your skin. Popping pimples is another common bad beauty habit that does you more harm than good. It causes undue irritation, redness and sometimes pain in the area. It can even leave a scar that will be difficult to get rid of. When you apply pressure on a pimple to force out the sebum and all the other debris, you are actually tearing open the skin only to cause more inflammation and trauma. The dirt and bacteria from your face and fingers also sticks to the pimple, creating a vicious cycle for other skin problems to occur. Do not touch your pimple. If you are impatient, try using tea tree oil. Dip a cotton ball in tea tree oil and dab it on the affected area. Let it rest for 10 to 15 minutes, then rinse it off. Even applying a dab of white toothpaste on a pimple can help dry it out quickly. Wrapping our wet hair in a towel after a shower or bath is one thing that most of us do. However, very few know that this is extremely harmful for the health of your hair. When wet, your hair shafts are like loosened springs that are susceptible to stretching and breakage. Also, if the towel is wrapped tightly, it causes tension on the hair follicles, which in turn leads to hair breakage and hair loss. Wrapping up wet hair in a towel also minimizes the effect of hair conditioners. After washing your hair, divide it into sections and move your towel along the sections to gently squeeze out the excess water. You can even blot your hair with a soft towel and allow it to air-dry before combing. If you want to wrap your wet hair, use a cotton T-shirt instead of a towel. And for the tangles, use a detangling spray along with a wide-tooth comb. At times, we just keep trying and testing different products in hopes of finding the right one. But this experimentation may prove hazardous for the health of your skin as well as hair. Using too many products may cause irritation and inflammation on the skin. And if you happen to have sensitive skin, you are inviting big troubles for yourself, for some products can even cause allergic reactions, thus damaging your skin. 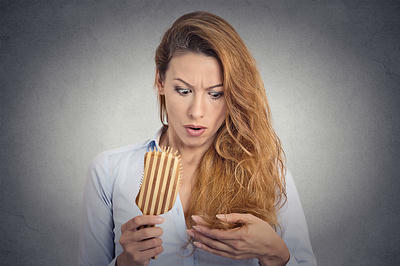 Also with your hair, experimenting with commercial shampoos, gels, serums and other hairstyling products is not at all healthy as these products are loaded with harmful chemicals. It is better stick with the beauty products that your skin and hair have adapted to. 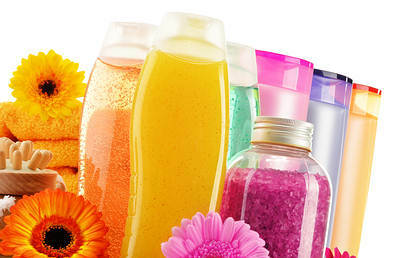 Avoid overloading your skin and hair with harsh chemical-based products. Always test new products, cosmetics and lotions on a small patch of skin on your arm before applying them on your face. 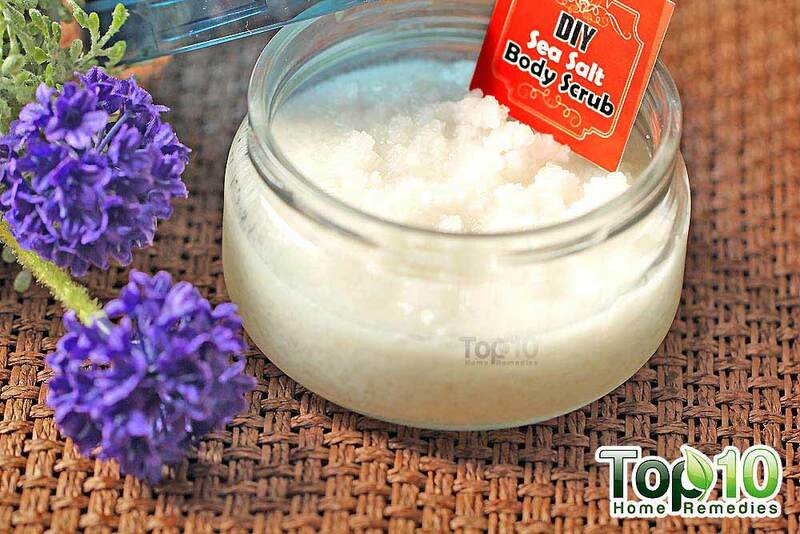 Better yet, try using herbal or natural homemade products to enjoy healthier skin and hair. Try to manage stress effectively. It not only affects your mental and physical health, it can even cause hair loss and accelerate skin aging. Your diet plays an important role on the health of your skin and hair. Follow a diet rich in vitamins, minerals and proteins to maintain healthy skin and hair. Avoid swimming in a chlorinated pool, as it is not good for your hair. Do not style your hair in tight ponytails, braids, knots or buns. Quit smoking. It is bad for your health as well as skin. The chemicals in cigarettes can contribute to pale and uneven skin complexion. Just like smoking, drinking alcohol in excess is not good for your skin and hair. To maintain vibrant and younger-looking skin, proper sleep of 6 to 8 hours is necessary. However, sleeping with wet hair should be avoided. Drink plenty of water throughout the day to keep your skin supple and body hydrated. Love you guys…. Indeed you are the best! Use healthy diet, use caoster oil it will have vitamin E that generate you hairs long. Your general health, well-being, and genetic factors affect your rate of hair growth. i like tanks to you !! !